A built in lock stitch feature on a sewing machine, sews a certain number of stitches and then stops sewing. This option is available on many newer, electronic sewing machines. Quilters use this feature to secure quilting stitches without having an unsightly back-stitch visible on their quilts. A lock stitch is also used on sheer fabric and fabric that tends to have a large amount of sweeping drape, since back stitching could interfere, even in a small way, with the natural drape of the fabric. 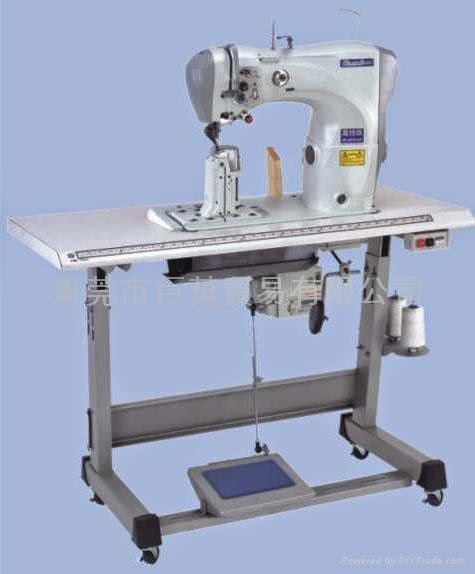 On a sewing machine that has a built in lock stitch feature, refer to your sewing machine manual.The lock stitch feature sews the same single stitch backward and forward without numerous stitches repeated. On a sewing machine that does not have a built in lock stitch feature, you can achieve the same result by shortening the stitch length to as short as possible and sewing two to four stitches in that one spot. More than that is apt to jam the machine and create an unsightly thread knot. It is also possible to stop the sewing machine stitching, leave a thread tail and then pull one tail to the back side and hand knot the thread tails tight to the fabric. Copyright reserved by BR Powers Groups. We have always provided products and services to nations.. Simple theme. Powered by Blogger.